WonderSphere is a sealed, mobile chamber that empowers pediatric patients with the wonders of nature and science. 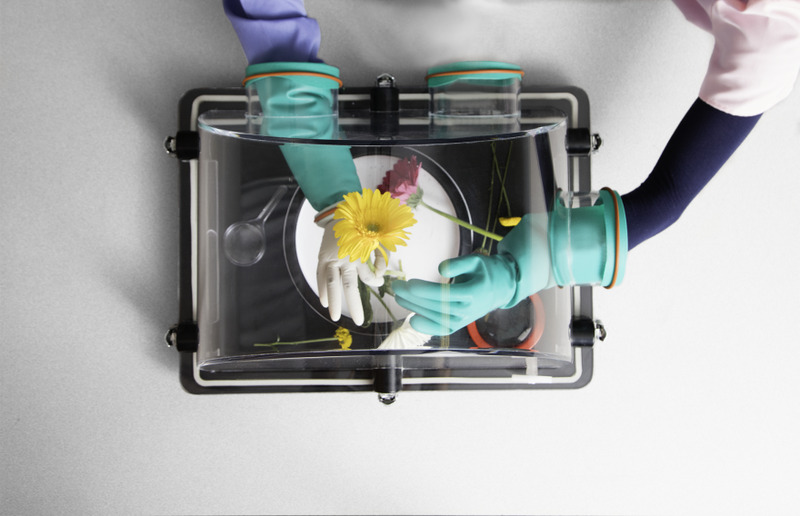 With built-in gloves that enable hospitalized, immune-compromised children to plant, dig, water, and touch nature without danger of infection, it provides a bedside field trip that is hands-on, experiential, multi-sensory, and safe. It is based on research that shows better outcomes for patients who are experiencing fun and positive emotions — making it easier for them to learn and easier for them to heal. Wonder Connection, the program behind WonderSphere, was founded by Katie Stoudemire, a program manager with the North Carolina Botanical Garden who had the idea of bringing environmental education into the UNC children's hospital. She tested her idea by bringing natural materials to some of the kids' who weren't immune-compromised. She recalls one instance with a teenager who was lying in bed with her eyes closed, not responding to anyone. Katie asked if she could put a shell in her hand. The teenager pulled the shell to her face, opened her eyes, started looking at it, sat up in bed, and got interested and curious. She started asking questions. "I think there's a power in interacting with natural objects," says Katie. "There's magic in sprouting a seed. For kids to be able to be a part of that, there's an implication of hope there." From those experiences, Katie dreamed up the idea of WonderSphere, a mini-environment she could bring to kids in their hospital beds. 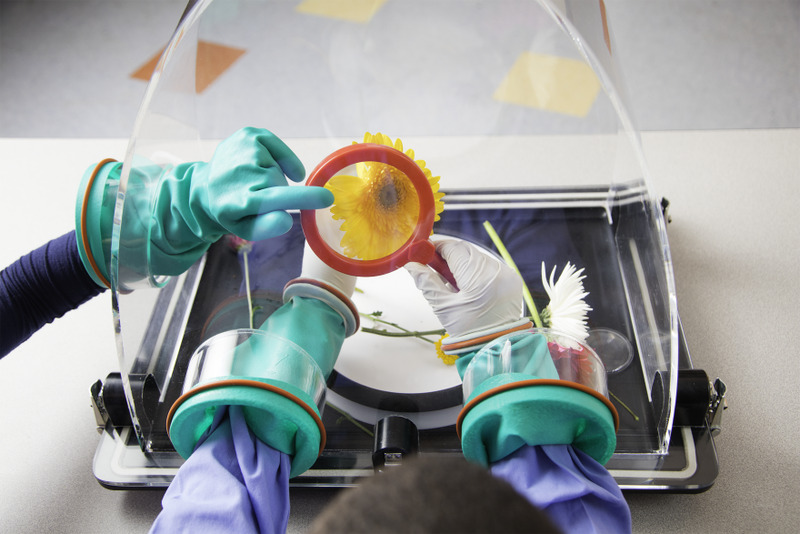 The main challenge was to create a product with an airtight seal to protect immune-compromised users from natural materials that may harbor bacteria, viruses, and fungi – while still allowing the kids and their adult teachers to interact with and change the materials inside the unit. There were ergonomic challenges, too – to come up with a design that fits on a hospital bed tray; and is comfortable for kids of different ages (5 to 18) and sizes to use while they're either sitting up or reclining in bed. Kids need to be able to look into the chamber from different angles, without reflection or glare from lighting. The product also had to be lightweight to carry into and out of hospital rooms and back to the cart used to wheel it around the building. It had to have a smooth surface that is easy to disinfect between uses; and needed to look friendly and approachable. 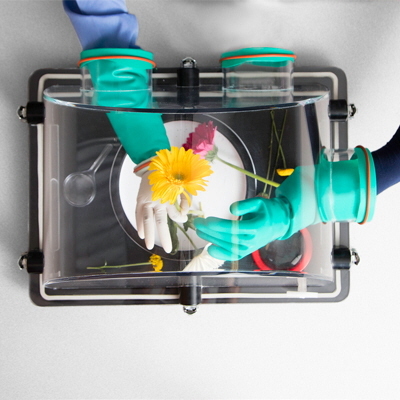 A two-part glove design and custom, adjustable adaptor ring solved the problem of not being able to find nitrile gloves that were small enough for WonderSphere's users. The kids wear disposable, extra-small laboratory gloves and put their hands through the reusable, easily disinfected cuff. The entire unit is easy to clean and disinfect. Acrylic was chosen for the dome because, unlike polycarbonate, it holds up to ammonia — the least aggressive, sanctioned chemical. The unit is designed with a minimum of sharp corners, edges, and nooks that might trap dirt and grime. Acrylic is also lightweight, optically clear, and more easily formable than other materials through a process called drape-forming. Interacting with WonderSphere increases enjoyment and positive distraction, and provides science education to hospitalized children. The pediatric patients — one of whom declared WonderSphere to be "better than an iPad!" 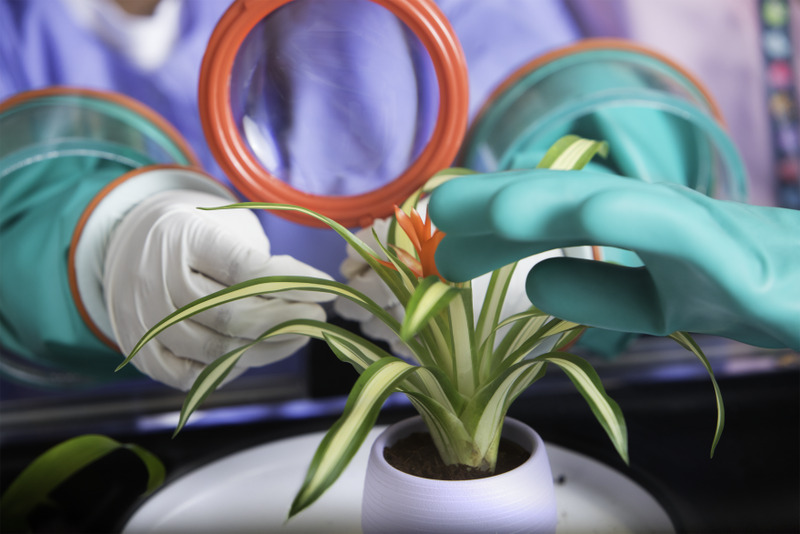 — particularly enjoy exploring Venus fly traps as well as dissecting flowers and making flower arrangements. • 100% of patients reported enthusiasm for science, with a 11% positive change from no enthusiasm to enthusiasm for science from pre- to post-session, and a 11% increase in "a lot" of enthusiasm for science in the post-session survey. • 100% of patients reported feeling happy in the post-session survey and 0% of students reported feeling sad in the post session survey (12% reported feeling sad in before the activity). • 100% patients reported that they activity made them feel proud, an increase of 22% from before the activity. A great deal of research on positive psychology and nature therapy informs the work of Wonder Connection and specifically WonderSphere. Interacting with it has been shown to have positive health, psychological, and learning outcomes. Nature experiences, especially in hospital settings, serve as positive emotion boosters. Positive emotions have been shown to undo the physiological effects of negative emotions. The better you feel mentally, the better you feel physically. Positive emotions lead to deep and enduring effects, including better resilience and optimism. They help children build enduring personal resources, including greater creative thinking, problem solving, an increased interest in science, and the ability to ask questions. 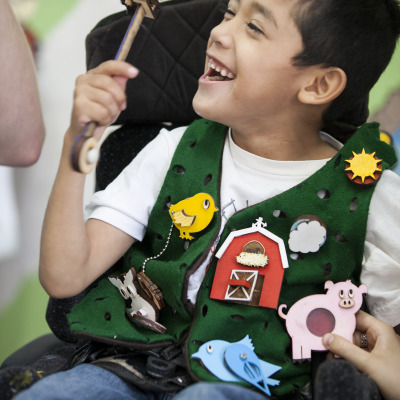 When the patients are experiencing fun and positive emotions, it is easier for them to learn and also easier to heal. 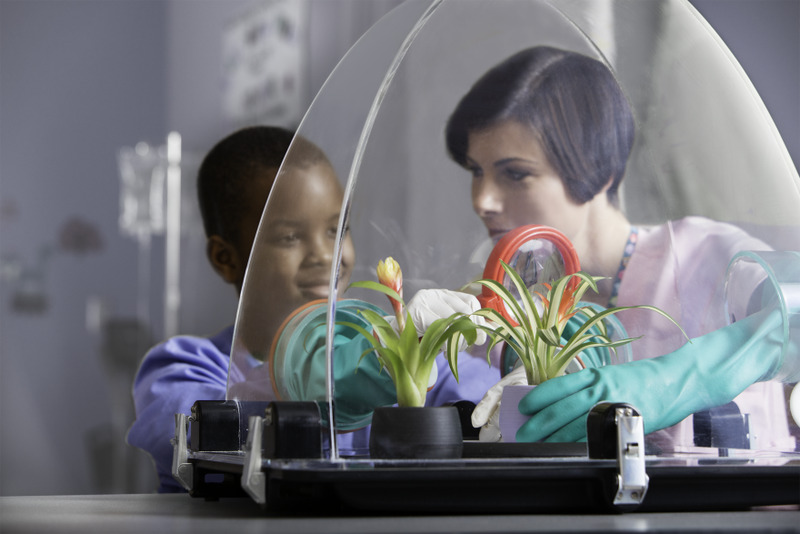 An additional goal of the WonderSphere project is to show a path forward for institutions, like museums and botanical gardens, to meet the needs of hospitalized children by creating a replicable model that is safe, easy to use, and educational. 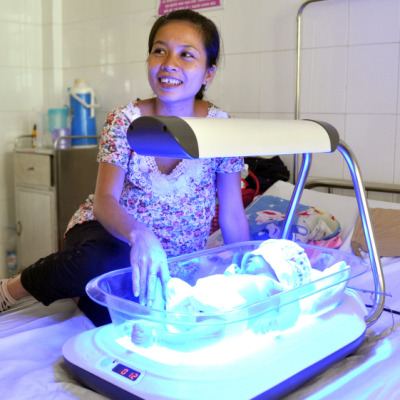 While this module is designed for bedside use with hospitalized children, it could also easily be used in hospital waiting rooms, nursing care facilities for adults, and public schools. As the team behind WonderSphere continues to gather results that demonstrate its impact, they hope that museums and botanical gardens will similarly seek out innovative, creative solutions — and consider creating their own WonderSpheres in order to serve hospitalized children and adults. In this spirit, Wonder Connection's website offers downloadable CAD design files for the WonderSphere. This project blew us away. It was unexpected and so authentic, with a brilliant idea to a problem we had not seen tackled before. 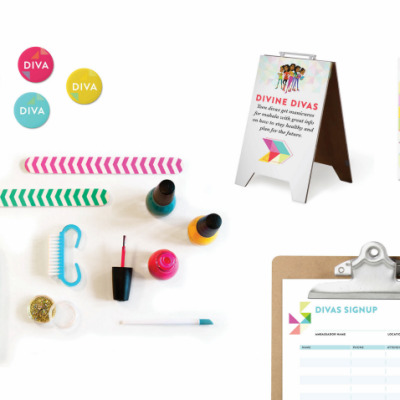 We also loved that it came from someone without a professional design background, but exhibited the heart, grit, and creativity of the best design projects.